You'll have a beautiful presentation designed in minutes when you get started with Venngage's photography creative presentation template! When you don’t know how to deliver your message with words, say it with photos! The Photography Creative Presentation from Venngage is perfect for a presentation about photography or any subject that utilizes a lot of photos. The Photography Creative Presentation template is fully customizable and lets you add your own photos or choose from our large selection of icons and images. In addition to editing the text and font, you can also customize the Photography Creative Presentation with charts, diagrams, graphs, and tables as well as changing the color scheme for a more visually appealing presentation. 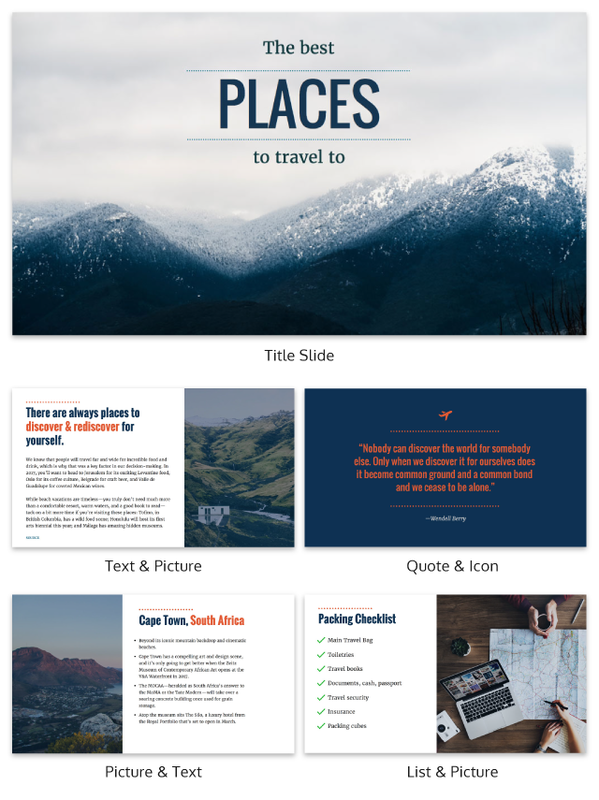 Whether your presentation is about photography or even architecture, the Photography Creative Presentation template has all the features you need for an aesthetic slideshow!